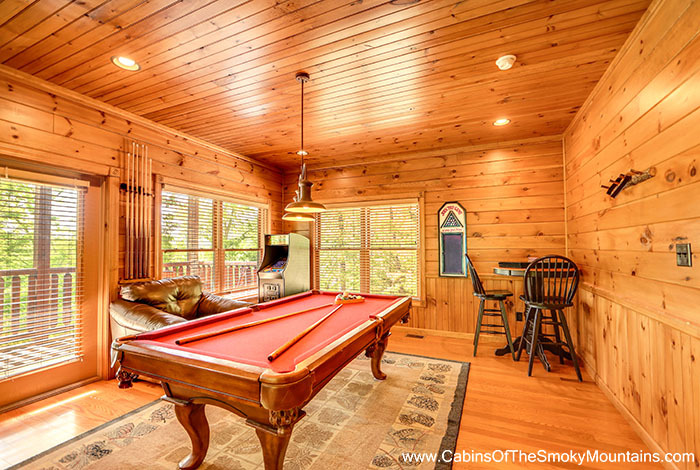 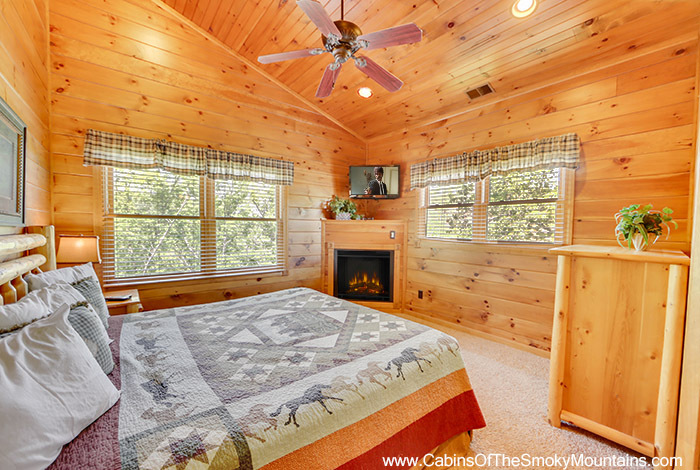 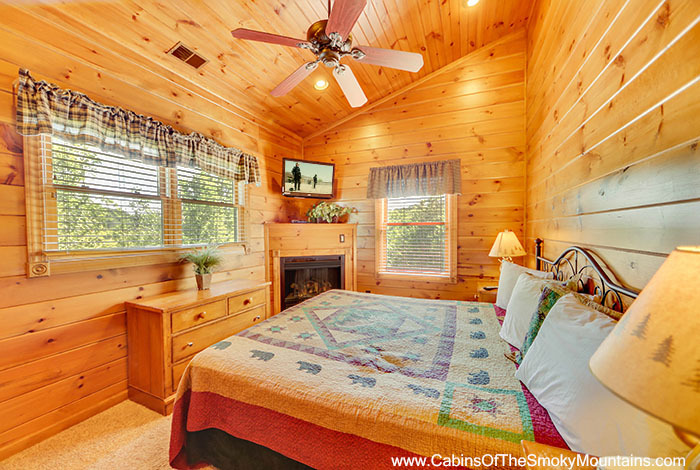 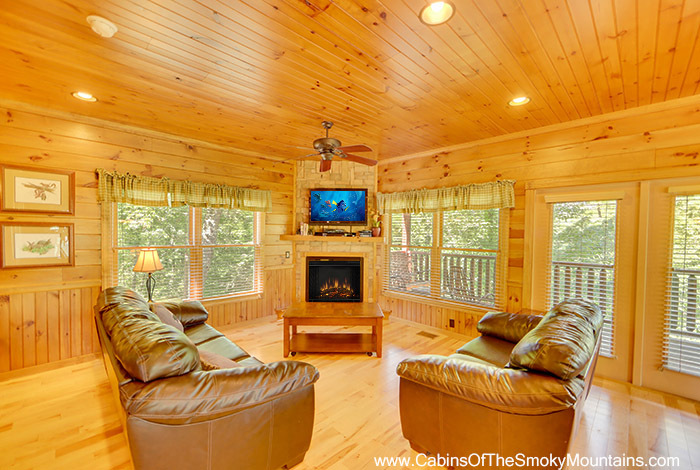 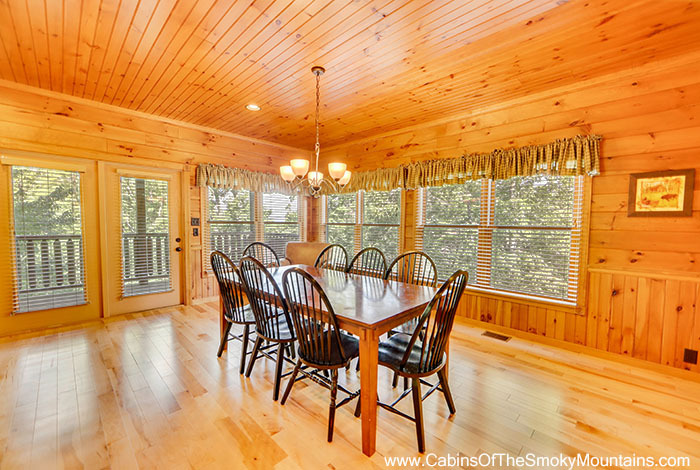 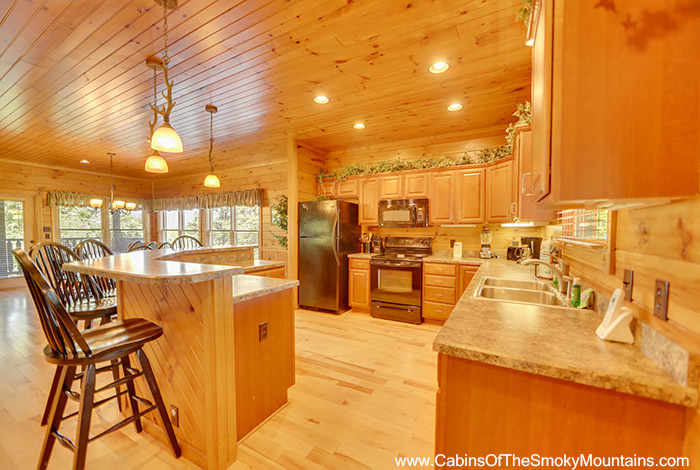 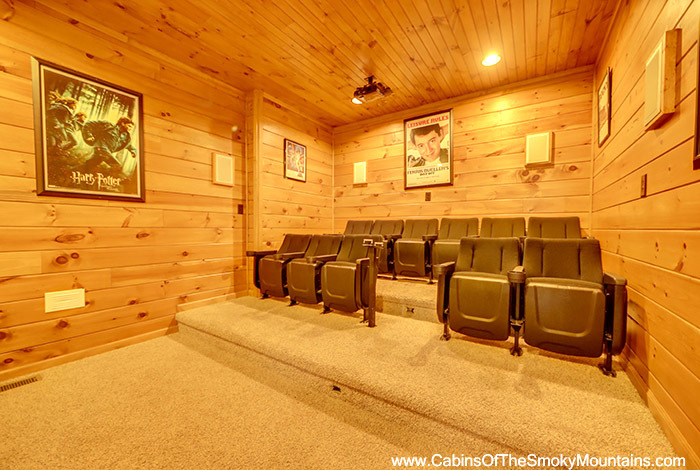 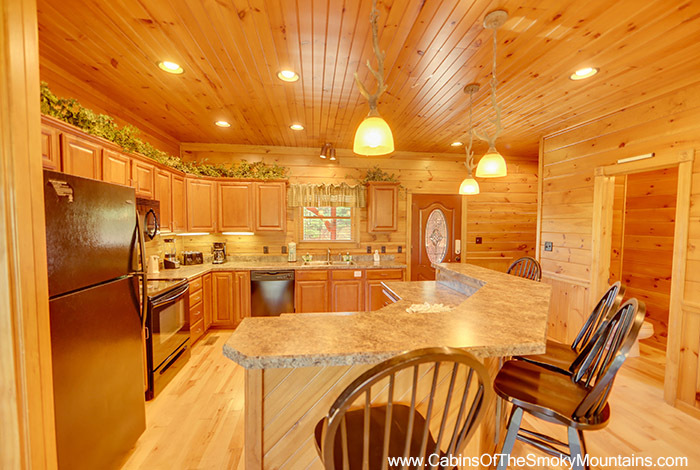 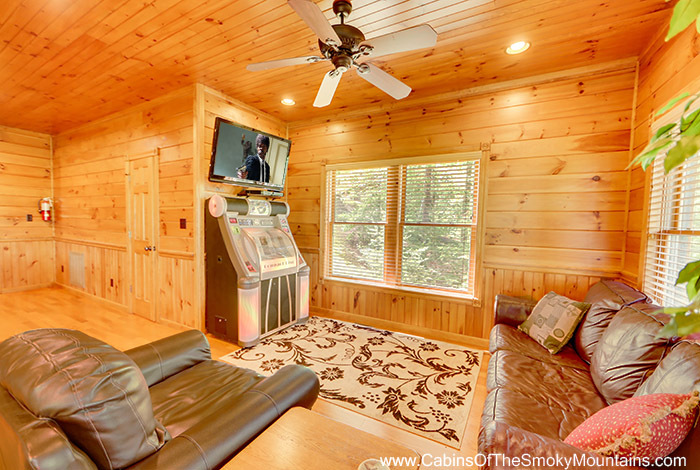 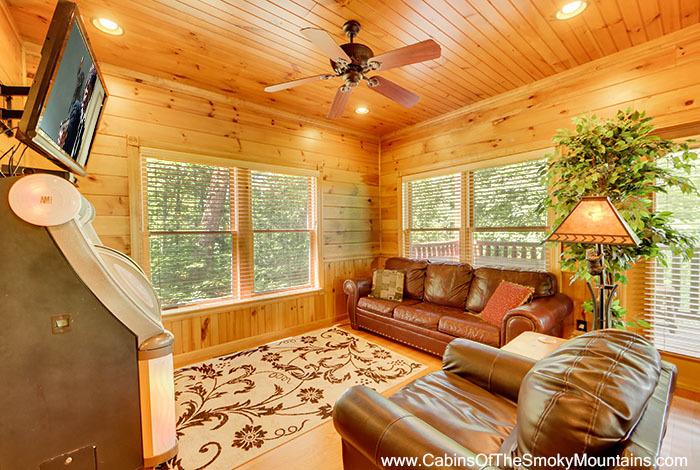 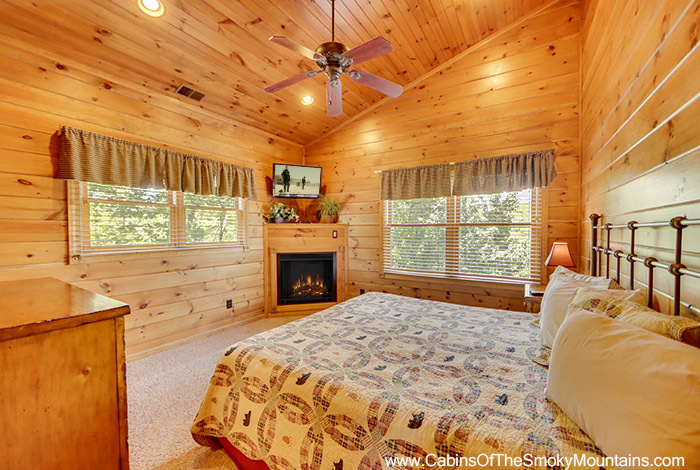 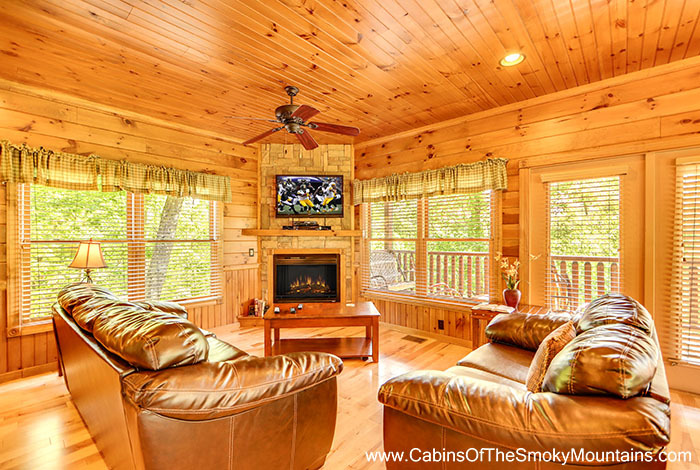 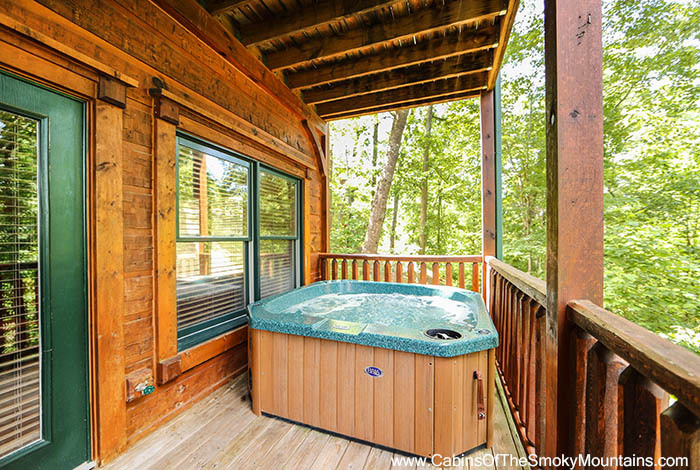 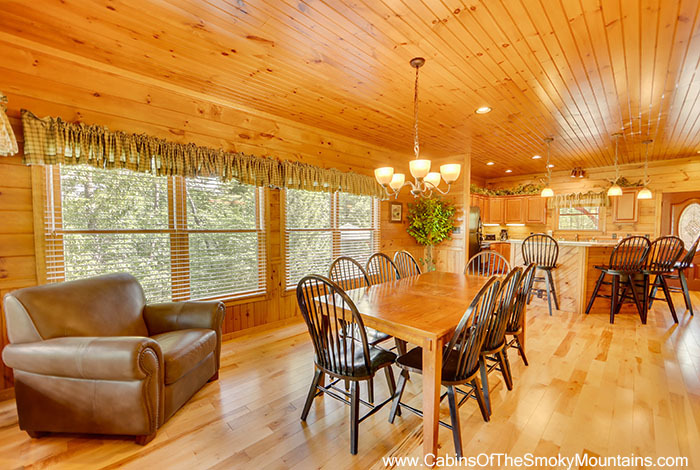 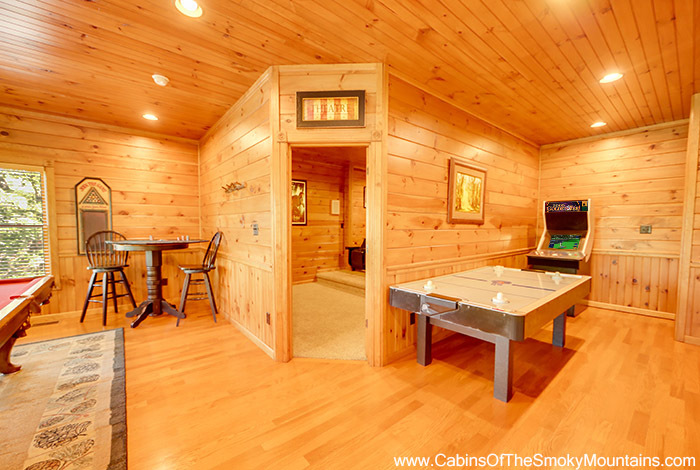 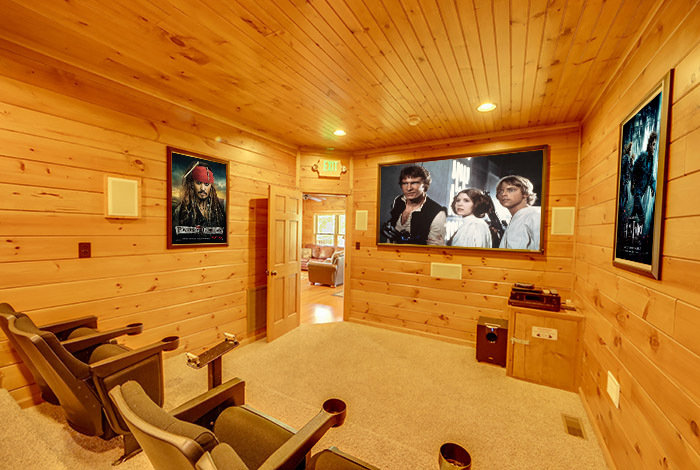 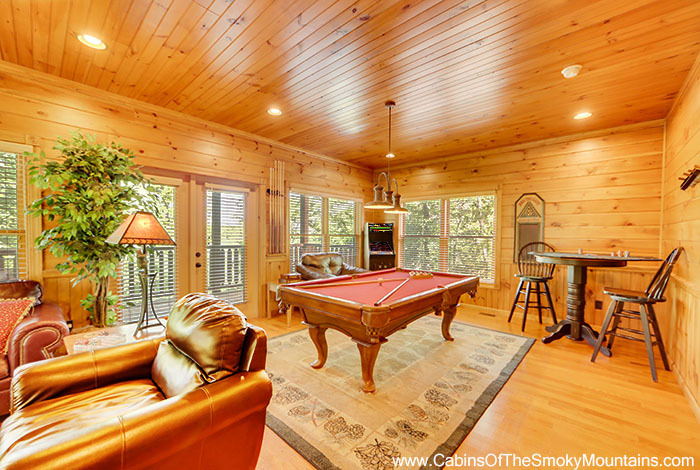 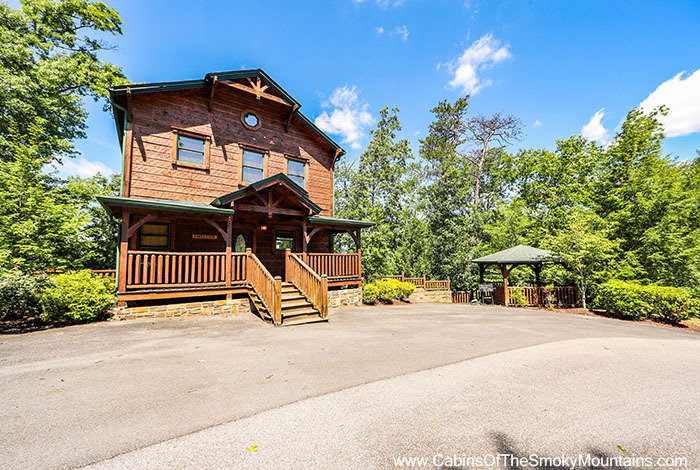 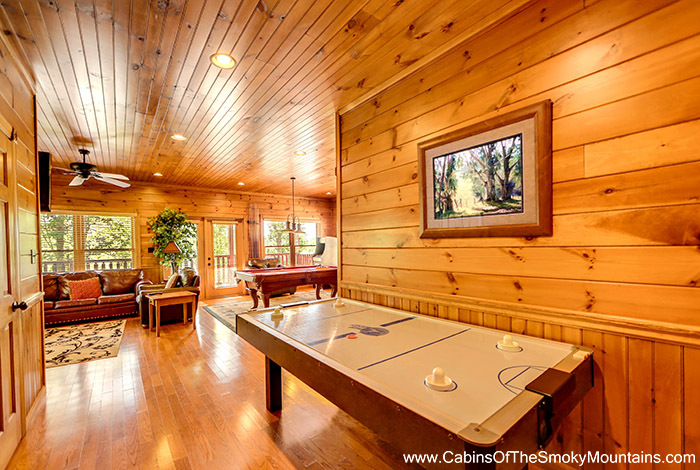 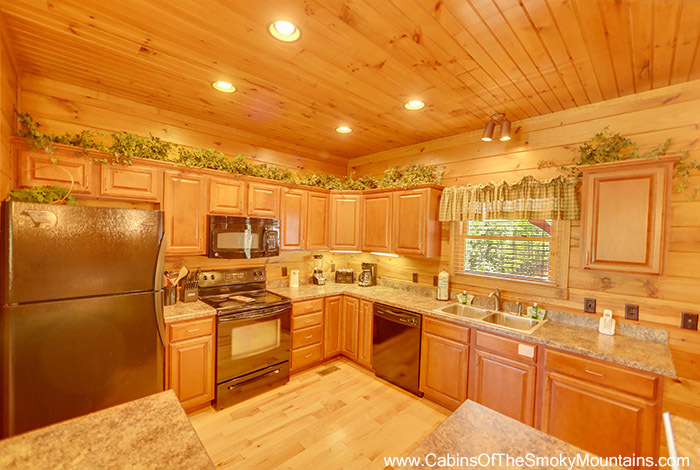 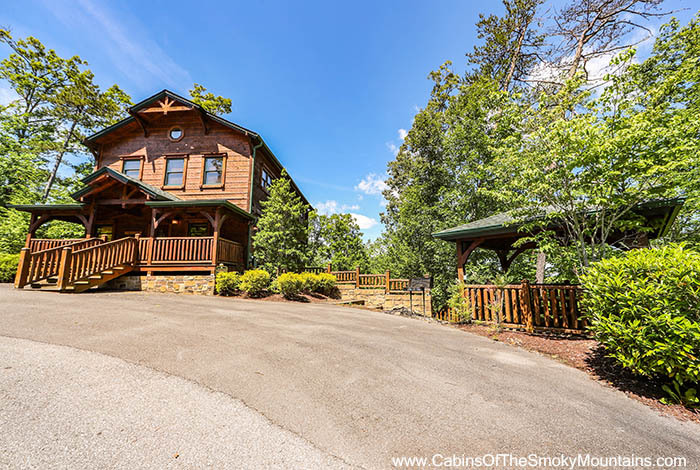 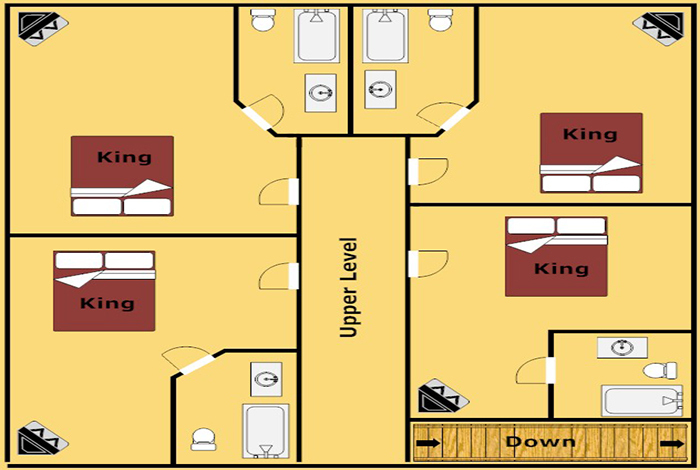 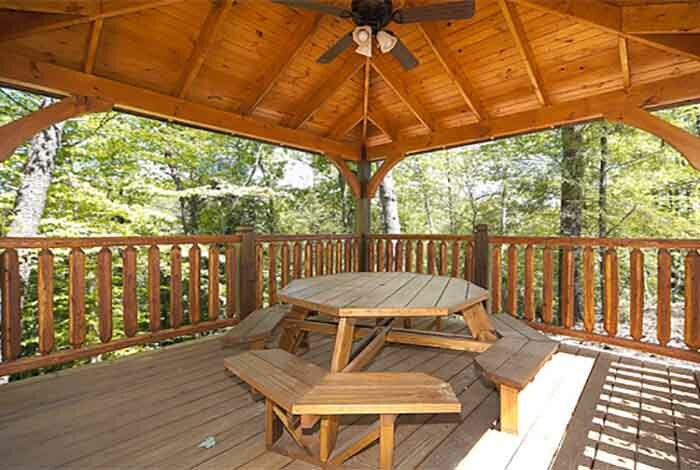 Escape the stresses of big city life and enjoy a Smoky Mountain Getaway at Wilderness, one of the premier 4 bedroom luxury Gatlinburg cabin rentals in the Smokies. 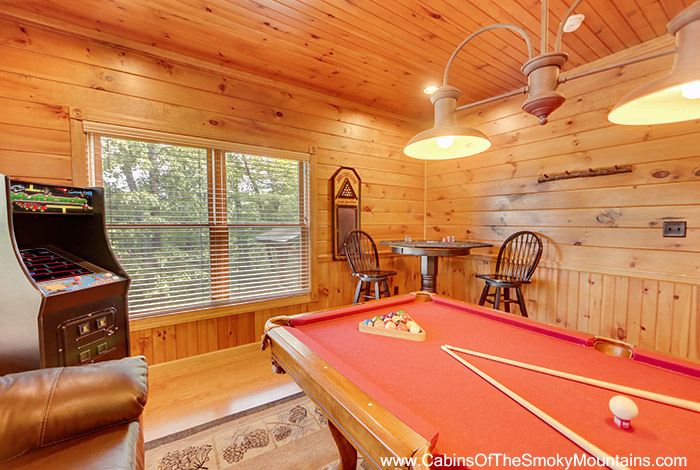 Its prime location in the pristine Gatlinburg Falls Hidden Valley Resort sits just minutes away from the attractions of downtown Gatlinburg and Pigeon Forge, making it easy to experience everything the Smokies have to offer. 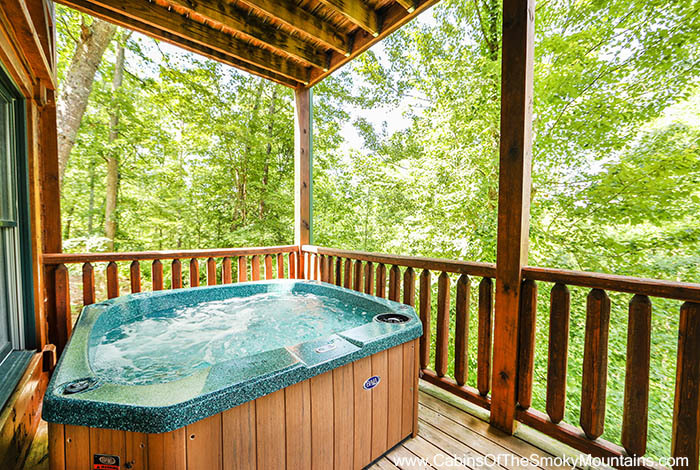 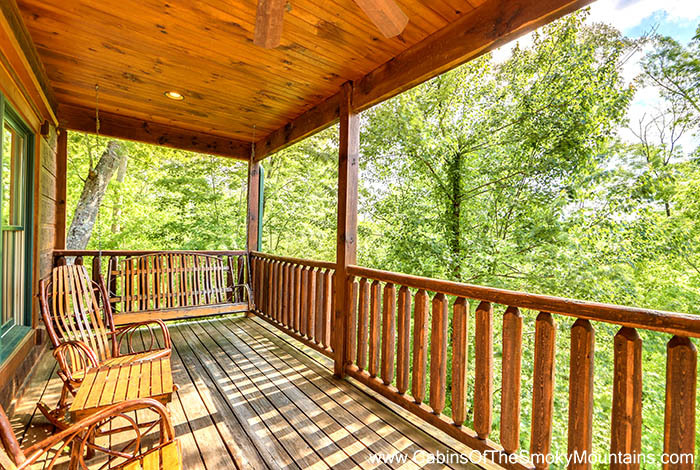 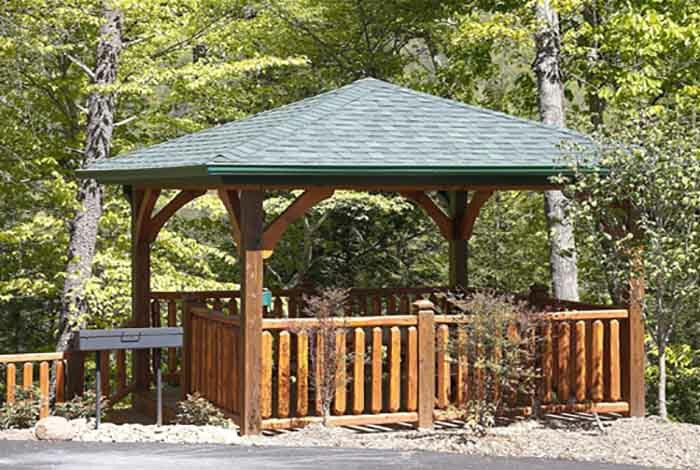 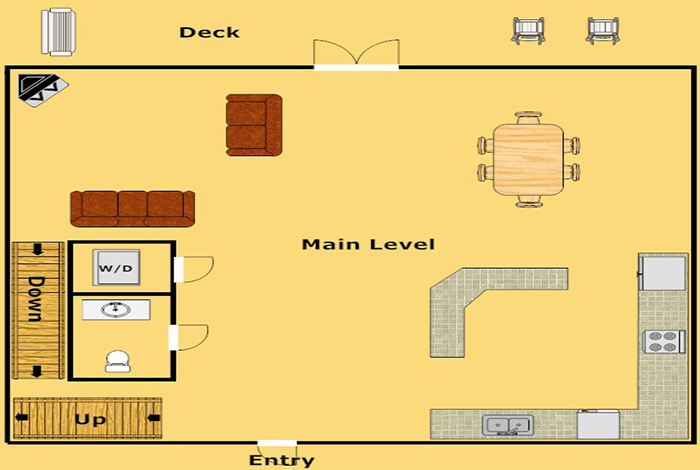 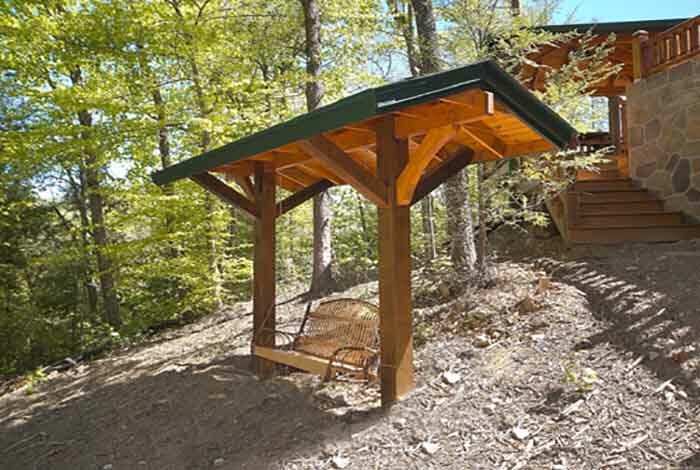 The wooded mountain views can be enjoyed while relaxing on the deck in your Amish rocking chairs or hot tub. 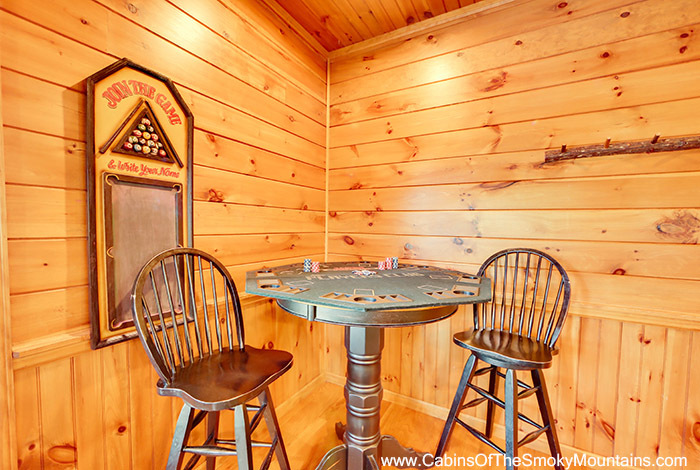 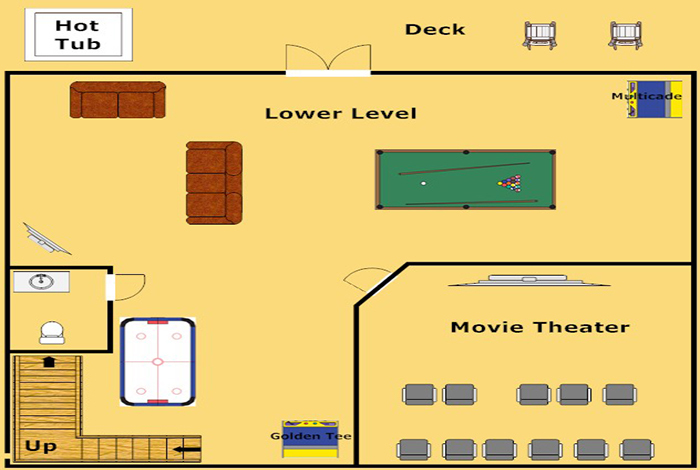 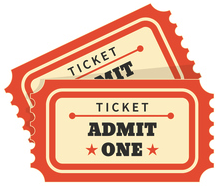 Or, step inside and put your gaming skills to the test in the game room stocked with Pool Table, Air Hockey, and Ms. Pac Man/Galaga arcade game. 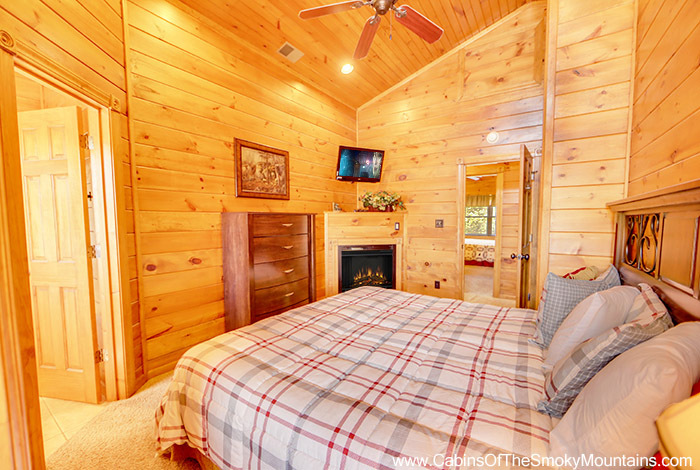 Beautifully Decorated for the Christmas Holidays!